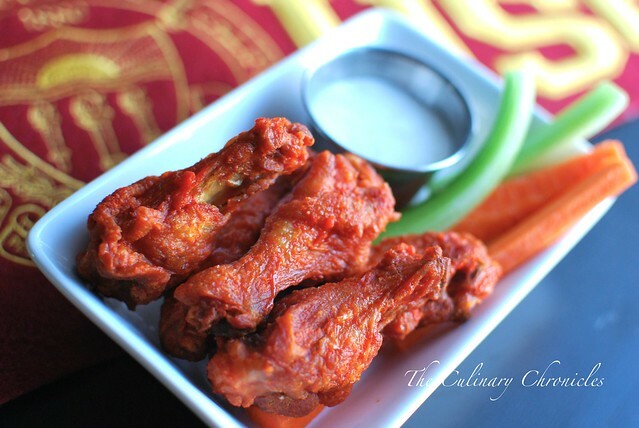 Celebrate the Return of College Football….with Buffalo Wings! COLLEGE FOOTBALL RETURNS THIS WEEKEND!!!! 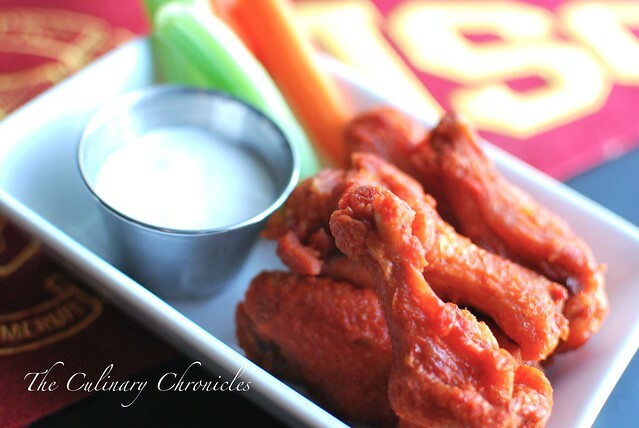 As my mighty USC Trojans kick off their season this Saturday, I will be eagerly cheering them on with a buffalo wing in one hand and—let’s be honest, an adult beverage in the other. But I must confess to you my friends. 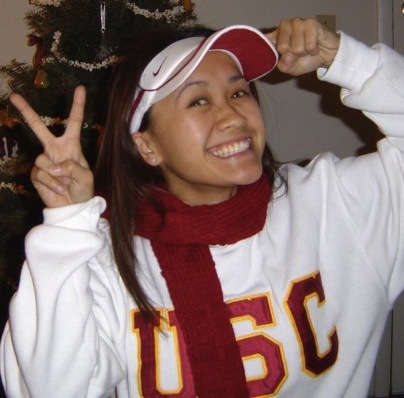 I am a severely LOYAL and sometimes insane FANATIC when it comes to my USC Trojans and Minnesota Vikings. Fill a large pot or dutch oven with about 2 inches of oil and heat until 350-375 degrees F.
While the oil is heating, toss the chicken in the flour. Shake off excess flour and carefully fry the wings in the heated oil for about 3-4 minutes on each side and until they become golden brown. This may need to be done in batches to not overcrowd your pot. When the last batches of wings are frying, melt the butter in a small sauce pan. Remove from heat and stir in garlic powder, onion powder, and hot sauce. When the wings have all been fried, toss them with enough of the butter-hot sauce mixture until the wings have been well coated. Serve warm with blue cheese dressing, carrot sticks, and celery sticks. Next Post Passion Fruit Caipirinha…..Saúde! Haha you are too cute in your SC gear!! I can’t believe football season is here. That means I wont be seeing my husband on weekends anymore! Maybe if I made home chicken wings like these he’d unglue himself from the tv for a minute! There’s something so delish about wings, right? And they’re so easy!!! Thank You, Tobias! 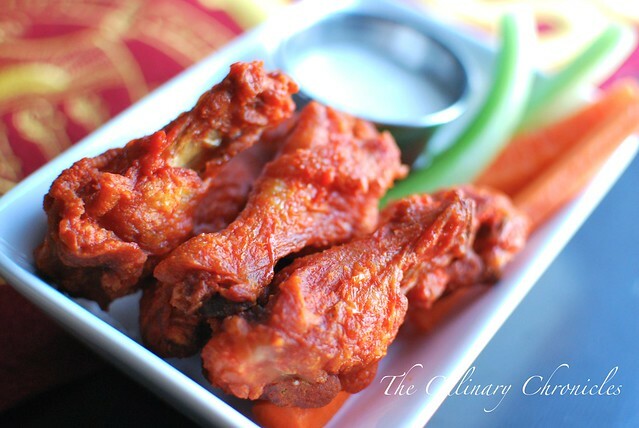 I should change the name of this post to “Classy Wings”—lol! Wow, those sound nice and spicy. Very nice pic of you looking very happy. Thanks Jennifer! Wings and Football—couldn’t be happier! Dang that looks good at 8:56 in the morning!!!! Your wings look delicious! Enjoy the game day! Thanks Nicole–I WILL 🙂 Have a great wknd! Amazing. One of our old time favorites, this will surely be added to my compilation of buffalo wings recipe. Awesome post, until that ungodly sweatshirt made an appearance. I need to make some wings now, bad. Cushing was awesome at ‘SC—came after my time there but fab for the team. I’ve got tons of family in Texas so I’m partial to Houston too!